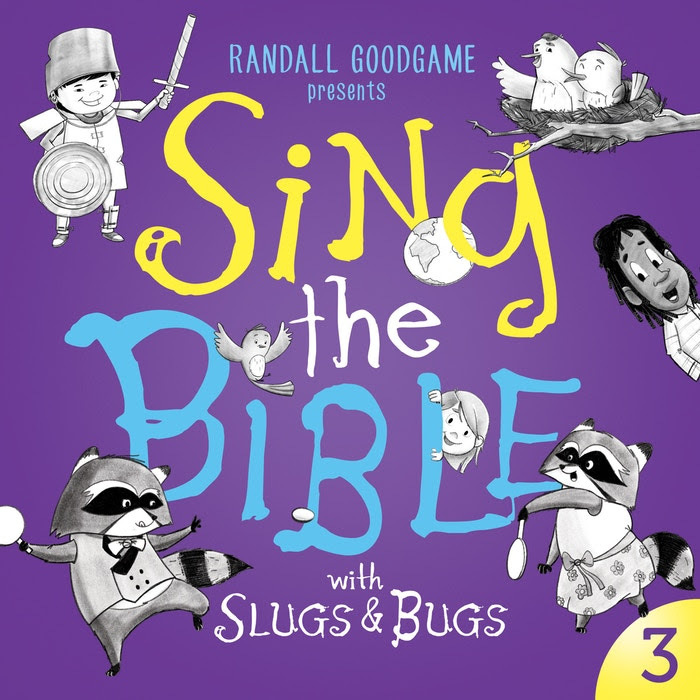 On Friday, April 27th, Randall Goodgame and the Slugs & Bugs team are releasing Sing the Bible With Slugs & Bugs 3! If you haven’t yet experienced the musical delight that is Slugs & Bugs, please read on. It’s also tempting to describe Slugs & Bugs in terms of what it WON’T do – “Children’s music that won’t make you want to stick a fork in your eye,” for example. I could bemoan the terrible state of contemporary children’s music: the forced or threadbare melodies, the inane lyrics, combined with an awful tendency to lodge in your brain for days at a time. Then I could assure you that Slugs & Bugs is better! Really! But that doesn’t do justice to Goodgame’s songwriting. This is a display of formidable talent that Goodgame has brought to every single song for five albums (including this one). But the ability to find music in the text, instead of wedging awkwardly-shaped lines into predictably-produced “songs” (not pointing any fingers, here) is only one of his strengths. He also writes really good melodies, in many styles. My favorite, though, is from Matthew 5:1-12; a musical rendition of the Beatitudes that, at one point, surprised me by raising chills down my spine because of its sheer beauty. I don’t believe I can adequately explain the alchemic perfection you’ll find in Sing the Bible with Slugs and Bugs. If you like music at all – or even if your kids like music, and you’re longing for some that won’t drive you outside – head over to Goodgame’s store on April 27 and place your order for Sing the Bible with Slugs & Bugs 3.